1.2 If there are any inconsistencies between these Terms & Conditions and any of the provisions of the Order Form, these Terms & Conditions shall take precedence. 1.3 We reserve the right to update these Terms & Conditions from time to time at our discretion. If we do so, the updated version will be effective as soon as it is accessible in respect of any subsequent Order Form you may complete. We recommend that you review these Terms & Conditions before every purchase of Goods that you make. 1.4 You may only order Goods online as a consumer. 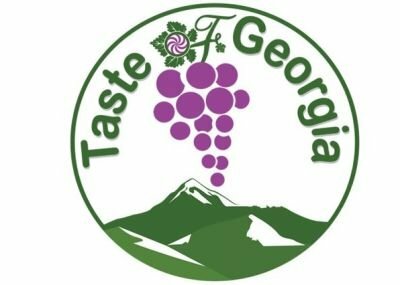 If you are a business wishing to purchase Goods for commercial re-sale or otherwise, please contact us at gamarjoba@tasteofgeorgia.co.uk. 3.3 The Goods shall be of satisfactory quality and fit for purpose, but you agree that we do not warrant the taste of the Goods because taste is a subjective judgement. 4.1 You must make sure that all information you provide to us, including email and delivery address is accurate. We will not refund you or deliver replacement Goods if we have delivered the Goods to the address you provided to us – even if you have not given us your correct address. 4.2 We must receive payment of the whole of the Price for the Goods that you order, including the delivery cost before your order can be accepted. We accept payment by credit or debit card. Once payment has been received by us we will confirm that your order has been accepted by sending an email to you at the email address you provide in the Order Form. Our acceptance of your order brings into existence a legally binding contract between us which comprises the Order Form and these Terms & Conditions. 4.4 If you have provided us with an email address and/or a mobile phone number, our appointed delivery company will send you a message the evening before the delivery is due, and a further message on the morning of the delivery with details of the estimated 2 hour delivery window. If the delivery is likely to be more than 45 minutes late, our delivery company will send you a further message with a revised delivery window. If you are not available to receive a delivery of the Goods, we shall leave a card notifying you that we attempted to deliver the Goods. You should then re-arrange delivery. We reserve the right to make a further charge for delivery in the event of a re-delivery of the Goods. 4.5 We will use all reasonable endeavours to deliver the Goods in accordance with the delivery timescale you select. If you do not receive the Goods within such timescale, you should notify us accordingly. If we are unable to deliver the Goods within 30 days, we shall contact you to discuss delivery of the Goods and if you wish, we shall cancel your order and refund all sums paid. 5.1 You may cancel your contract with us for the Goods ordered through the Site by contacting us by email at gamarjoba@tasteofgeorgia.co.uk or writing to Taste of Georgia, PO Box 175, West Wickham, BR4 4BJ within 14 days from the date you receive the Goods, clearly stating the following: your name, geographical address, your phone number, email address and full details of the order you wish to cancel. 5.2 If you do cancel your contract, you must take reasonable care of the Goods whilst they are in your possession, including by storing them in accordance with our instructions. You must return the Goods to us within 14 days of the notice to cancel, and you must return the Goods at your own cost and risk. We strongly recommend that you send the Goods back to us via a recorded post service and obtain a certificate of posting. We will not refund you if we do not receive the returned Goods. Please also make sure you package the Goods appropriately to avoid damage. 5.3 We will refund any sums paid for the Goods returned and, if you return the whole (not part) of the order, we will refund the delivery costs you paid up to the price of standard delivery. We will refund you using the same means of payment that you used to purchase the Goods. 6.2 If we do cancel your contract we will notify you by e-mail and will refund you all sums paid within 30 days of the date of receipt of the Order Form. We will not be obliged to offer any additional compensation for disappointment suffered. 7.1 You are responsible for maintaining the confidentiality of your account and password and for restricting access to your computer to prevent unauthorised access to your account. You agree to accept responsibility for all activities that occur under your account or password. 7.7 We will use reasonable endeavours to make the Site available to you at all times. However, there may be occasions when access to the Site may be interrupted, including for scheduled maintenance or upgrades, for emergency repairs, or due to failure of telecommunications links and/or equipment. We reserve the right to remove any Goods, Services content or features from the Site for any reason. 8.2 Our maximum liability for any claim by you whatsoever, including breach of contract and tort including negligence or otherwise, shall be limited to the Price paid for the Goods that are the subject of the claim. 8.3 If there is a problem with the Site that damages a device or any other digital content belonging to you and this is caused by our failure to use reasonable skill and care, we will either repair the damage or pay you compensation up to £20 per device provided that you have complied with these Terms & Conditions.